I’m not sure what to think about this season’s garden tomatoes. The expression “failure to thrive” comes to mind. Sadly, the basil and the corn in this box aren’t doing so hot either. 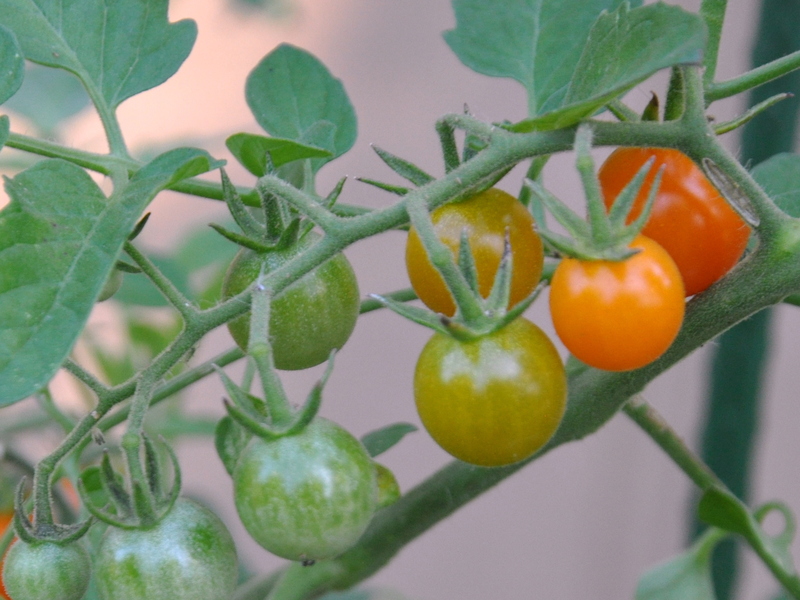 Generally speaking, tomatoes are fairly easy to grow. The plant is part of the nightshade family, so their poisonous leaves remain untouched. The small yellow flowers attract the bees and before you know it (usually!) you have a vine of ripening tomatoes. Sometimes it’s hard to keep up with the production as they fruit all at once. That has not been a problem this year. I planted half a dozen bedding plants in the spring. Some years I start from seed, but I didn’t save any last year so I went the lazy route. I put several small tomato plants in my raised VegTrug and three more in my vegetable box. I had one more plant in need of a home, so I popped it into the curb garden where it would get plenty of sun in the company of the perennials. It’s taken nearly four months for three of the plants to produce. 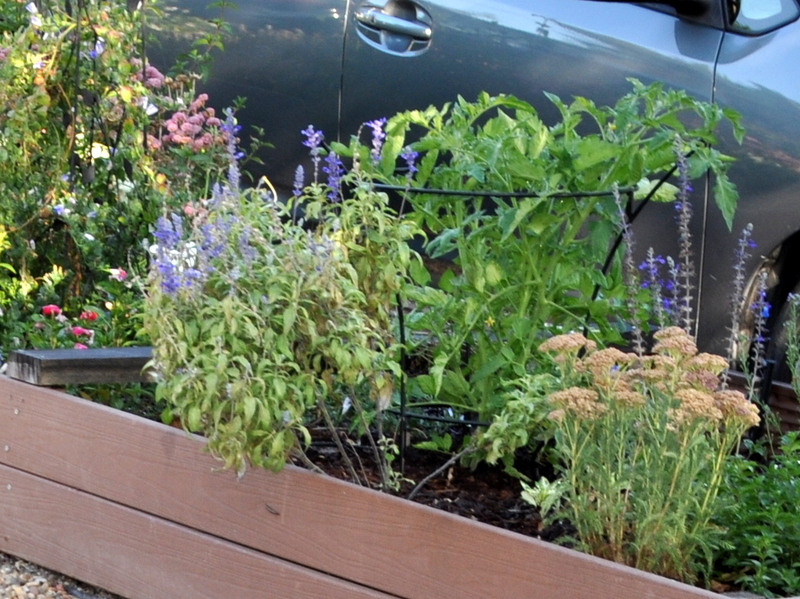 The plant in the curb garden never grew more than a few inches tall and the same goes for the plants in the VegTrug. 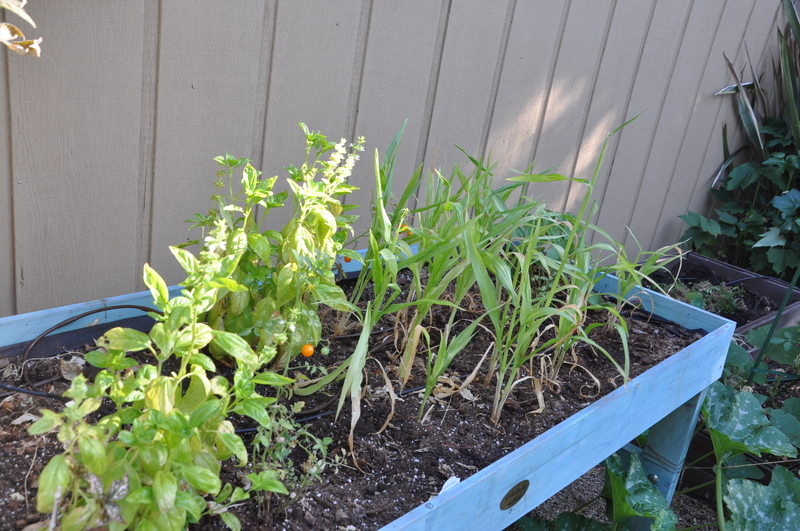 Tomatoes growing on the left side of curb garden box…all five of them! I amended the soil, and watered faithfully once the rain stopped. The plants aren’t drooping or diseased and there is no sign of garden pests. They’re just small and sad and completely unremarkable. Poor soil could be the culprit though I amended the soil with coffee grounds which I got for free at our local Starbucks. I kept an eye on the water and I know they’re getting full sun. Since I really wanted at least one healthy tomato plant, I bought a larger bedding plant in a different variety and planted it in the curb garden. It’s too late in the season to start over with a small plant or from seed. All the perennials are thriving in the box so I know the soil is robust. The new plant looks healthy so far, no thanks to my mad gardening skills. Meanwhile, fire season is upon us. Locally, we’ve seen three small fires, two in San Jose and one in nearby Saratoga. They were all extinguished within 24 hours. A fire in nearby Saratoga burned on the other side of the ridge from the camp where my son volunteers. That definitely gave me pause. The emergency alert system sent out a text saying to shelter in place, but when I checked on my son he said all was fine. We learned the following day that the alert went out to everyone in the county! I’m glad the system works, but the error unnecessarily alarmed a lot of people, including this worrywart of a mom. The largest active fire is in Mariposa/Detwiler. It’s burned 76,000 acres so far, but crews have it 40% contained. My hat is off to these firefighters that work tirelessly under unimaginable conditions throughout the fire season. 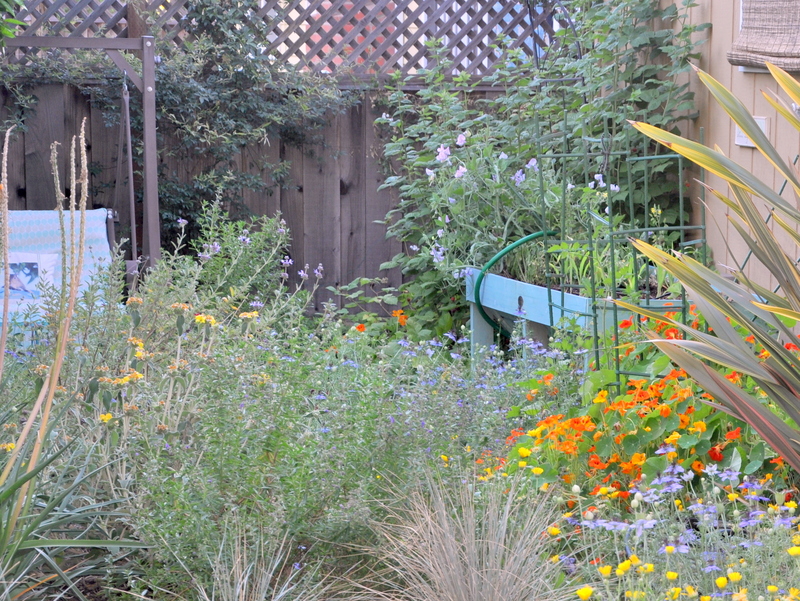 This entry was posted in Gardening and tagged California Wildfires, cherry tomatoes, fire season, growing tomatoes, orange tomatoes, tomatoes. Bookmark the permalink. ← The Sketchbook in all its glory! Oh my goodness Alys! Isn’t it remarkable how you face fires while I face floods …… if only the two could meet 🙂 I am glad to hear Mac wasn’t in danger of anything more than an unnecessarily worried mother coming in to scoop him up…… sometimes these glitches in the system are more scary than the actual event. 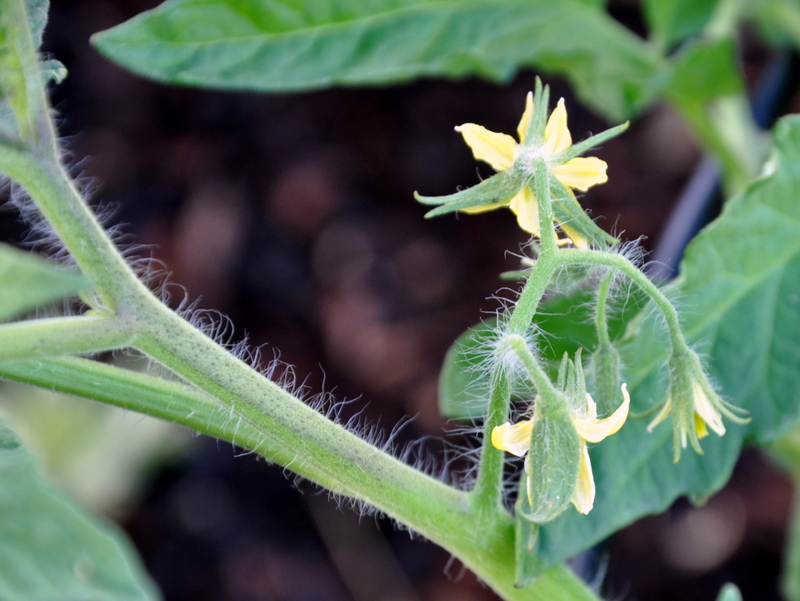 As to your tomatoes – I know they are big feeders and that is the only thing I can think of to offer – heaps of good compost is needed to get them fruiting. That may also explain lack of growth when you are planting other plants with them. If there isn’t enough nutrients in the soil, the tomatoes will take everything and leave nothing for the rest. But the answer may equally be ‘Who has the energy to produce anything in this heat!” said the tomato plant indignantly. I also like your “indignant tomato plant” quote. It may very well be that. My husband is the gardener in this family so I couldn’t possibly comment but I know we’ve had three or four seasons now where the tomatoes haven’t done well. As a non-gardener, I see the vegetables that are in season selling for next to nothing in the market and supermarket and think ‘why bother’ but that’s probably what some people think about us keeping chickens for eggs and the answer would be ‘the taste is so much better’ in both cases. I’m glad your son is safe – I’m the same when anything happens in London as one of my daughters works there even though, being a Londoner by origin myself, I know how huge it is and how unlikely she would be involved. This ‘Mum business’ is a bit stressful isn’t it – and it’s for life! It’s absolutely about the taste, closely followed by the fun of growing them. 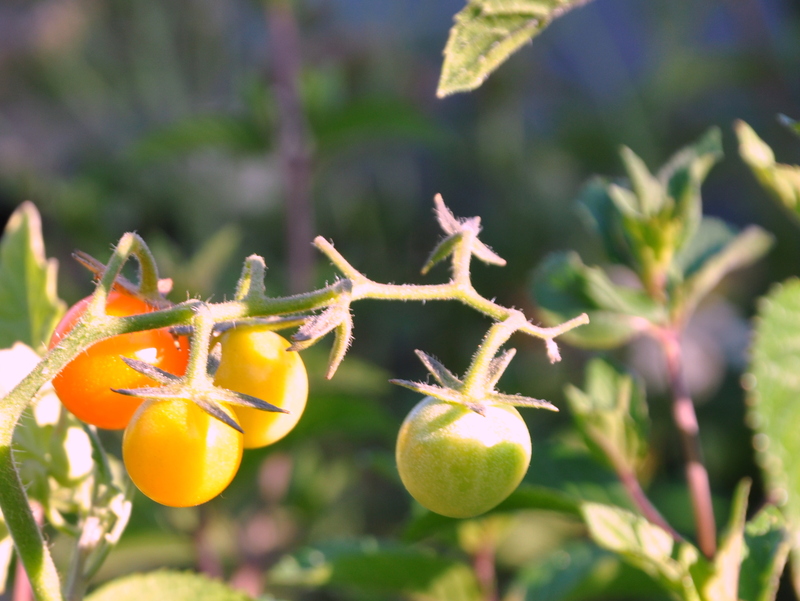 After 70 years of breeding tomatoes to look good, farmers inadvertently breed out the flavor. 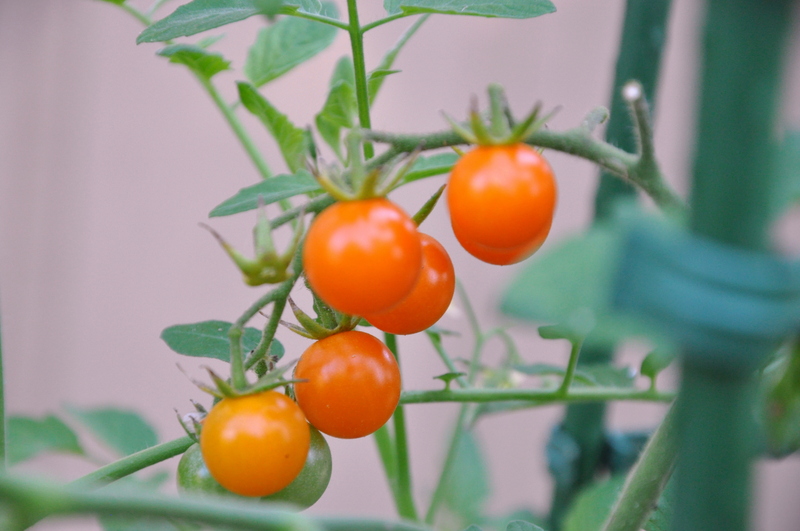 Cherry tomatoes and heirlooms are the only way to go, and that is also what I try to plant. We’ve paid for so many disappointing tomatoes over the years, that I’m hardly even tempted anymore. So much has happened in London this year, it is any wonder your mum guard would be up. I don’t think we ever stop worrying entirely; it is indeed for life. It sounds a bit like too much heat at an early stage… But it’s impossible to tell at long distance. If you know anyone who keeps a worm farm, beg some worm tea from them and see if that perks up your little babies. Kate I heard about the Australian fire fighter exchange on NPR last week. I love that the countries swap fire-fighters, since needs are at opposite times of the year. It makes great sense. I used to keep worms, but had a couple of mishaps and never started over. The first batch were in a bucket…just an impromptu home for them when my friend Liz brought them by. But they liked it there so I poked holes and left them. I covered it in the winter, all was well, and then a contractor came to do a repair on the house, tossed it aside thinking it was just a mucky bucket, and that was that. Then a friend gave me a proper worm bin, once used then abandoned by his brother in law. It worked for a season, but even though I faithfully kept it covered, a raccoon or an opossum came one night and hollowed out the center. They didn’t leave a single worm! I’ve kept worms for years, but I can’t do it here. The summers just get too hot and humid, and the poor wrigglers can’t cope. The only way would be to have their accommodation in an air conditioned part of the house, and I draw the line at that. Even the garage gets too hot. I do have an excellent fertiliser supply in the garden, made from a big plastic trash can with a lid. I filled it with water, dumped in a bag of sheep manure, a couple of buckets of comfrey leaves and a few other goodies, put on the lid and left it. Over time, the excess water evaporated and I’m left with a soft, crumbly, nutrient rich dry mix to sprinkle on the soil round baby vegie plants. And yes, the tomatoes love it! Kate, I’m intrigued by your trash can science. It’s a bit like compost, but very specific ingredients. I had forgotten about the heat restrictions on the worms bids. That’s an excellent point, and would no doubt have been the downfall of my worm bin this summer with this crazy heat. I do see worms beneath the surface in the curb garden and at the bottom of my compost bin, so all is not lost. Three cheers for happy tomatoes! I knew there were fires but I didn’t know there were so many. Hats off, indeed, to the firefighters.As for the tomatoes…..mine don’t always do well, but my neighbor’s do. He uses horse manure. The tomatoes seem to love it. Me too! I was really shocked to see all those marks on the map. I hope your newest tomato plant does you proud. Thank you, Helen. So far, so good. You know, I often forget about manure, but plants do love it. I have some worm castings, which might be second best. It would be fun to try two different plants one year, one with a certain amendment and one without. Meanwhile, the curb garden plant is looking good, and as a bonus, I gave it a pile of coffee grounds from our local coffee shop. Thanks for your advice. Sorry about your tomatoes. We didn’t even plant any this year because the deer ate every single plant last summer. So I am getting my fresh tomatoes from the farmers market. I’ve been following the fires, that is really scary – first floods, then fire, you have been hit hard this year. Here’s hoping they get them under control soon. I’m amazed that they can eat a plant that is poisonous! My newer plant is looking healthy, so I’m holding out hope. We still have a few more months of good production weather. I’ll keep you posted. Tomatoes are one of my least favourite things to grow and I’ve decided I probably won’t bother next year. We have a local organic farm that produce loads of them, so I need never be without and I can grow more interesting things. I wonder what ails yours, though… perhaps just poor stock to begin with. I wondered, too if it was poor stock, since they aren’t growing well in any of the locations. I’m glad you have a market nearby with tasty, fresh tomatoes. We have farmers markets here too, on different days of the week, but I’ve always enjoyed growing my own. Why are they your least favorite thing to grow, by the way? Melons sound like a lot of fun to grow. I tried cantaloupe one year, and watermelon too. The watermelon was fun, but the vines are incredibly long and only produced two melons, so we didn’t grow them again. It was fun though when the boys were small. It doesn’t seem long ago that you had flooding, and now fires! I really admire the firefighters too. We have just seen pictures of fires on our news: the south of France, Portugal and Spain are struggling right now, and Italy has had fires already too. On the tomato front, I am afraid I have never had luck with them myself. Maybe a special tomato feed? Good luck with the new plant! Thank you, Cathy. I’m sorry to hear that parts of Europe are seeing terrible fires as well. Our local news seems to drone on about our political situation, leaving little room for anything else. We’re so xenophobic at times. I hope things are okay in your area, and that everyone gets through the fire season unharmed. Your fire map reminds me of our flood map LOL! The tomatoes I would think possibly the compost – maybe it has dried out easily between watering. Lots of compost and composted manure usually does the trick or try those water holding crystals. I planted some annuals in a pot with some new compost that was more like sawdust and did not hold water – in the end I changed the compost and now they are flourishing. Also is you planter very deep or shallow – a good growing depth for the roots can produce better stronger plants. I like the idea of trying the water-holding crystals. I used those years ago in house plants, but I’d largely forgotten about them. You’re right about healthy compost and manure. I hope things are well for you in both of your gardens. After 2 weeks of glorious hot sunny days it has rained ever since here in Yorkshire – so no gardening at the moment! I’m amazed at all the variables this summer around the globe. Too hot, too cold, too wet it seems. The new normal. I’ve been watching previews for An Inconvenient Sequel: Truth to Power and look forward to seeing the latest, albeit with a heavy heart. I’ve had it up to here with climate deniers, not the least of which is the embarrassment sitting in the White House. Whether it turns out to be climate change due to humans or just a natural occurrence there are definitely changes in pattern. I woke up this morning and it feels like a grey early winter morning not the height of summer. In any case we need to stop damaging and polluting the planet – we are pushing everything close to the limits through our lifestyles. I just heard the other day that the campaign to ban microbeads in beauty products that I signed has been successful – one more small step forward. These online campaigns do work and so easy to sign. The US is one of the biggest consumers (and wasters) on the planet. We’ve become such a consumption-focused economy. We’ve got to back up and find a better way forward. I’m happy to hear about the elimination of the microbeads. The internet gives us a powerful voice. I’m grateful for that. Hmmm, I read with great interest your idea about “amending” and “faithfully watering”. My theory at this point in the season has just been to yell and fuss at all things not good for my plants; bugs, poor soil, heat, critters. I find that the plants are generally faring OK and I feel a bit better for having got out in the open just exactly how very frustrated I am after the exhaustion and cost (not just in money, there is blood, sweat and tears out there) for nature to be holding out. We leave on Thursday so I give up. Don’t know what I’ll find when I get back and decided today that it just doesn’t matter. I do have to say that the sedum Julia gave me is doing quite well so maybe I’ll get lucky and it will take over the entire yard. 🙂 I am sorry you didn’t get to have a yummy tomatoe or two. I mean really, what good is living in CA if you can’t have delicious produce right outside your door? I am glad you and your children are safe and praying you all stay that way. I will be thinking of you from lovely HI. I just know you’re having fun in Hawaii. We’re heading to Colorado soon for a wedding. It will be a nice getaway before my youngest son starts his senior year of high school. Hello college applications! I was just out looking at the tomatoes that my sister planted in the planter boxes and wondered the same thing. The plants are huge, I’ve given them all the coffee grounds my daughter is bringing home from work and still very few healthy looking tomatoes. It feels like the season is out of sorts. I’ll try and remember to take photos in the morning. All the watering was done today and will wait a bit now the we are cooling down a couple of degrees. I don’t know what to tell you. Fires are just everywhere and then the flooding ahead of it. I think we are in for a very rough time. Thank you, Sheila. Much appreciated. Our newly planted tomato plant looks good, but no fruit yet. It may just be one of those years. As you say, though, the flavor is amazing. I LOVE the image of your dad dusting the tomatoes. What a charming man. He and my dad would have been fast friends, I’m sure of it. I know I’ve said that before, but you’ve reminded me once again. xo It’s interesting what you’ve said about the bees. I had them by the hundreds a year ago, flitting through the love in a mist. They were much scarcer this summer, and I’m not seeing any of the large, black bees that like to visit the pumpkins. More bee’s please! I need to plant more bee attracting plants. I trying my best to not have it be a yard full of projects, but maybe in pots! Tears come and go for me at times too even when they’re all good memories that make my heart sing. It just can’t be helped. xox ❤ Love you sweetie ! Between the torrential rains and the heat and the fires, you’ve really been through the wringer this season — so perhaps your tomatoes are feeling the stress as well. You certainly can’t fault yourself; it sounds like to took every possible step to coax fruit out of those little plants! When I read stories like yours (and contemplate my own gardening disasters) I feel extra-grateful that there are professional farmers who take these gambles and frustrations on our collective behalf. Well, I do hope the recent transplant will yield better results for you. 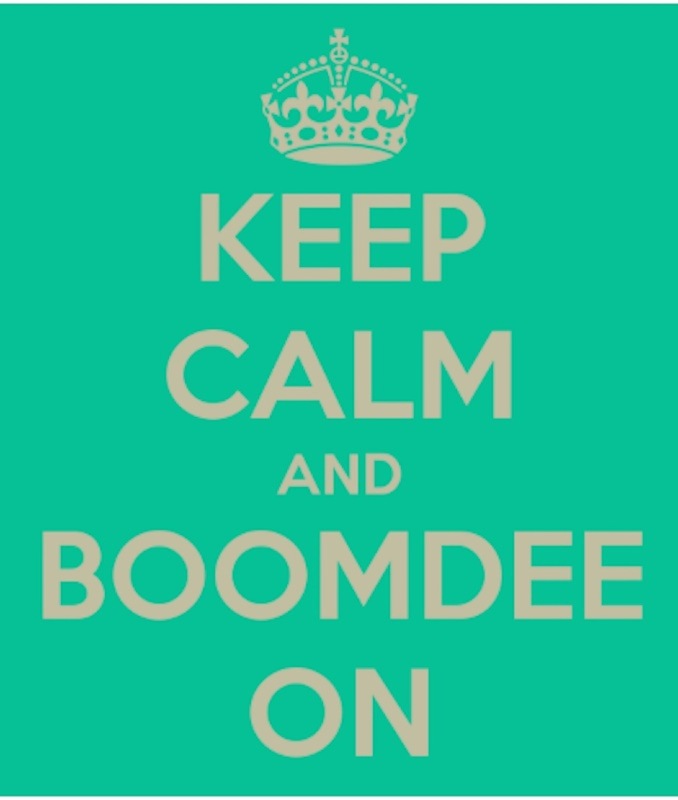 And I especially hope that things will settle down climate- and fire-wise! A big hug to you, and cheers to you for tending your little corner of the world so faithfully. A big hug back your way, Heide-bee. Farming does seem like a gamble, especially with so much on the line for people’s livelihood. It would be easy to wonder the aisles of any grocery store or market and simply take it for granted. When I hear people complain about the price of something, I don’t think they’re fully dialed in to what it took to get it there. We’ve all become quite accustomed to fruits and vegetables year round. My recent transplant looks healthy, but no fruit yet. Someone mentioned the potential lack of bees, and I’m sad to say that they’ve been far less plentiful this season. Gosh, that makes me sad. I hope life is better on your side of the country. Sending a hug back your way. Happy Monday to you, dear Alys! Oh, Alys! 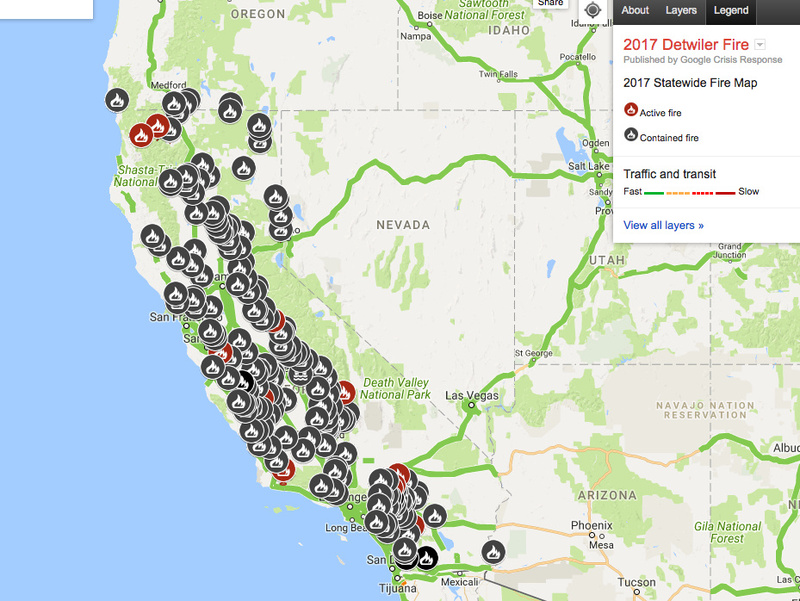 It’s just so unbelievable to see all of those fire icons on the California map! Our thoughts and prayers are with everyone who has been affected, everyone who is worried for their safety, and all those brave firefighters who put themselves in harm’s way every day. Thank you for your kind words, Dawn. I’ve never heard of the idea of planting a tomato slice. That’s really intriguing. I’ll have to give that a try next season and then I’ll report back. One year I planted three bedding plants, and three sets of seeds, and within a few weeks, they were all the same sized plants. That was a fun experiment and it really surprised me, too. Thank you for the happy tomato vibes. I’ll keep you posted. You certainly are having one long hot summer there Alys and well done on getting the tomatoes that far. Keep safe! Thank you, Patti. I’m already dreaming of fall weather and here it is just the start of August. It’s been hot and dry and smoggy. I’m ready for cooler weather. That said, you live in New York with the added humidity, so I know it could be much worse.